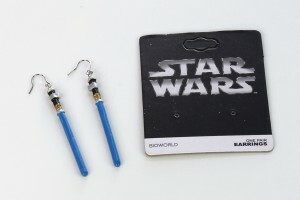 I had seen a few mixed reviews about the Bioworld lightsaber earrings, but I thought I’d order a set and see for myself. I wanted the blue Obi-Wan versions, which seemed to be the hardest to find. 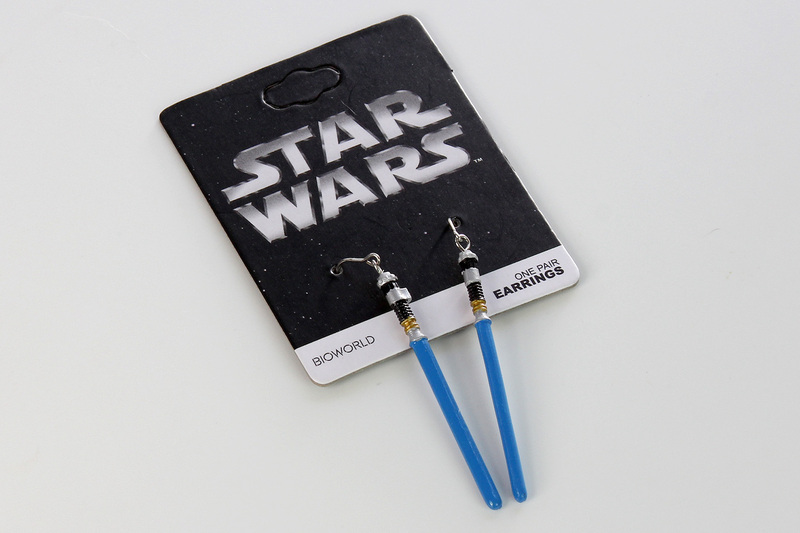 I finally grabbed a pair when they were in stock at Thinkgeek, I paid US$12.99. They measure approximately 5.2cm long, the painting on mine is quite tidy. The jewelry hooks are quite small, I’m not sure why, I’ve never come across earring hooks in this size. I may remove the hooks and replace them with large ones, a simple alteration. 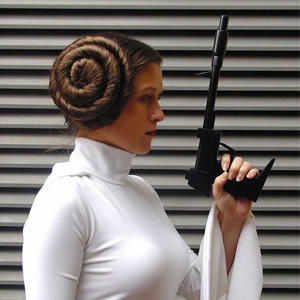 I have heard these earrings can be a bit fragile, but I feel I’d have to be rough with them to break mine. They were perhaps a little more expensive than I would expect, but I really like them. I love that they used Obi-Wan’s lightsaber hilt style, it’s often Luke Skywalker’s hilt that is used for jedi themed items. 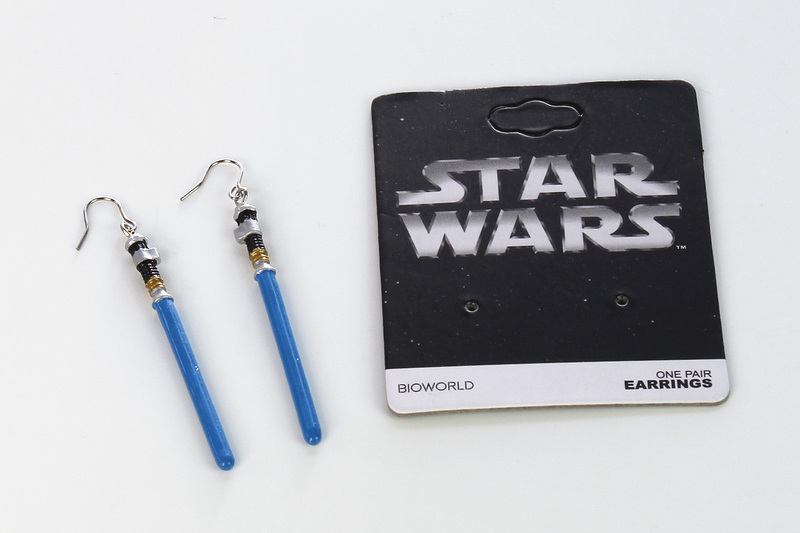 The other earrings in the set are still available – Darth Vader (red) and Yoda (green).